Currently FREE account holders have space for 20 pictures in their accounts but that can be insufficient if you add many photos to your account, use only a handful of them for your animated travel maps, but never bother to delete the redundant ones. They still count toward your 20-picture limit, although unused. Here’s how to optimize your account and keep only the photos that you do in fact use in your projects (or intend to use in the future). First, you should know that removing a photo from a project does not delete it from your account. But to delete a photo from your account, it should not be used in any projects. Deleting photos can be done from your dashboard. 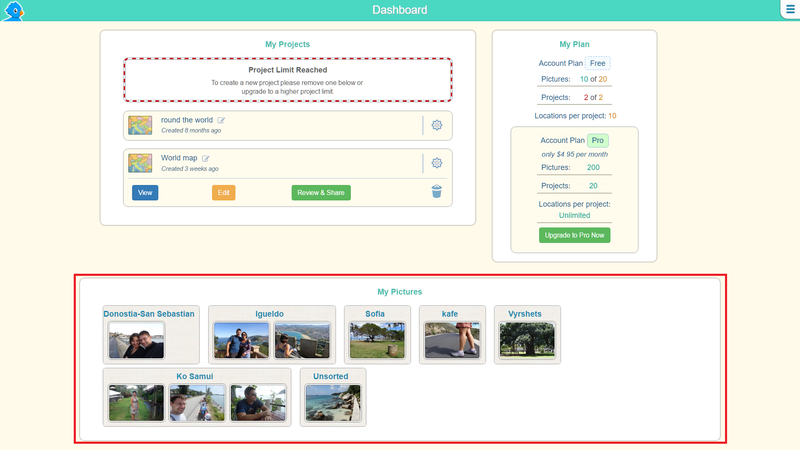 Once on the Dashboard page, look for the My Pictures section, right below the section with your projects. Hover with your mouse over the image you want to delete. Click the recycle bin icon to delete the photo. A dialog window will open asking you to confirm your action. 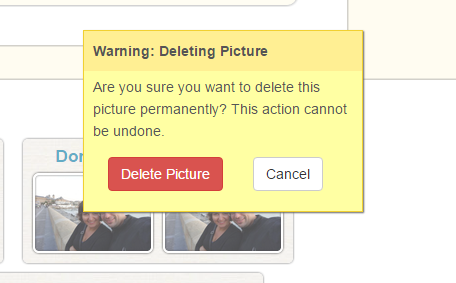 Click the ‘Delete Picture’ button to confirm and your picture will be deleted. 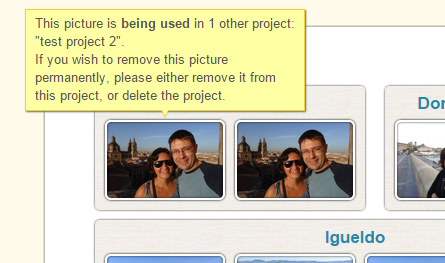 Then, you have to find the picture in the project where it’s used (in your Map module), remove the picture from the project, save, and return to your dashboard to delete it as described above.